3-3/4 Martini Classic Pull, 1 per pkg The Liberty 3-3/4 in. 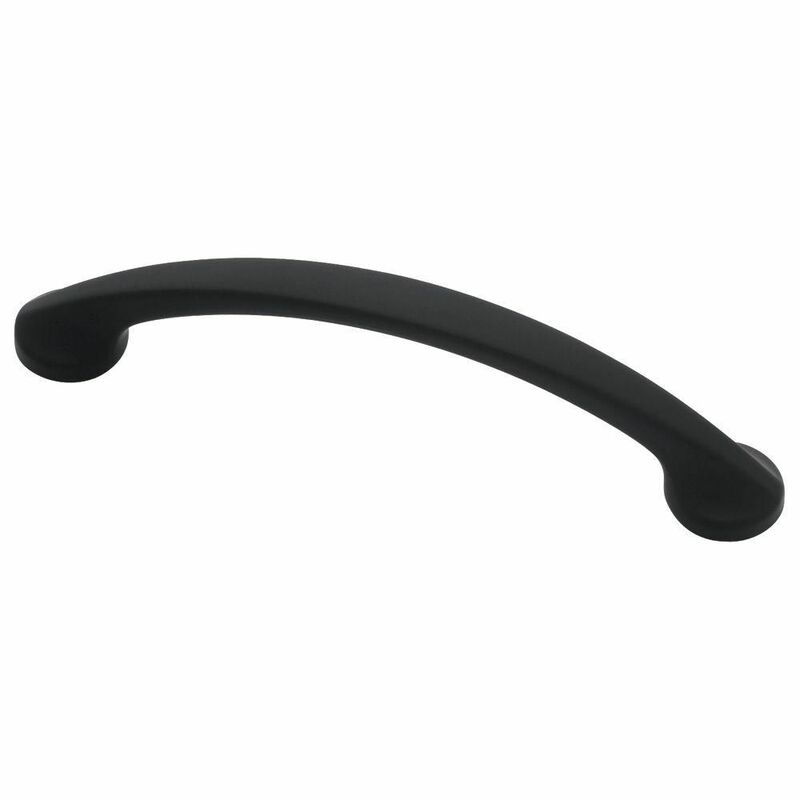 Flat Black Martini Classic Pull gives modern cabinetry a sleek, elegant look. It features a 3-3/4 in. center-to-center, rear-mount design for easy installation. The metal base material is built to last and is coated in a handsome flat black finish. Includes two 8-32 x 1 in. machine screws for easy rear mount installation. 3-3/4 Martini Classic Pull, 1 per pkg is rated 4.8 out of 5 by 16. Rated 5 out of 5 by Marge from Looked very nice & good quality but did not work... Looked very nice & good quality but did not work with my cabinets. Rated 5 out of 5 by corntooth from the flat black martini drawer pulls look great with our white cabinets.the 3-3/4 in pulls fits my... the flat black martini drawer pulls look great with our white cabinets.the 3-3/4 in pulls fits my hand well. Rated 5 out of 5 by Caron from Used these to update an old filing cabinet with some... Used these to update an old filing cabinet with some contact paper. Did the trick and matches my new decor! Rated 5 out of 5 by Carl from Well made. Good quality black pull with low profile.... Well made. Good quality black pull with low profile. Rated 3 out of 5 by Amos from The pull itself is great--looks nice, feels sturdy and substantial--although we have just started... The pull itself is great--looks nice, feels sturdy and substantial--although we have just started using it, so time will tell. My complaint is that all but two of the screws that came with our order (ordered online) were the wrong size, so our contractor couldn't install them until he had gone out to buy replacement screws. Rated 5 out of 5 by Judy from Perfect color and size.... Perfect color and size.